Love the shelf above the door - great idea for storage! I love everything about it! 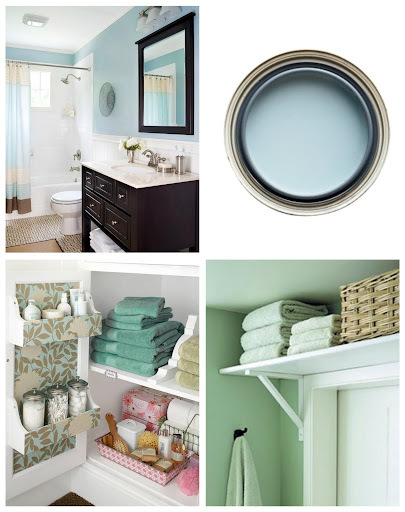 This makes me want to keep going with my own bathroom make-over. Great ideas Adri.